That’s a quick and easy weeknight recipe! Is there anything better than a healthy meal? I don’t think so! 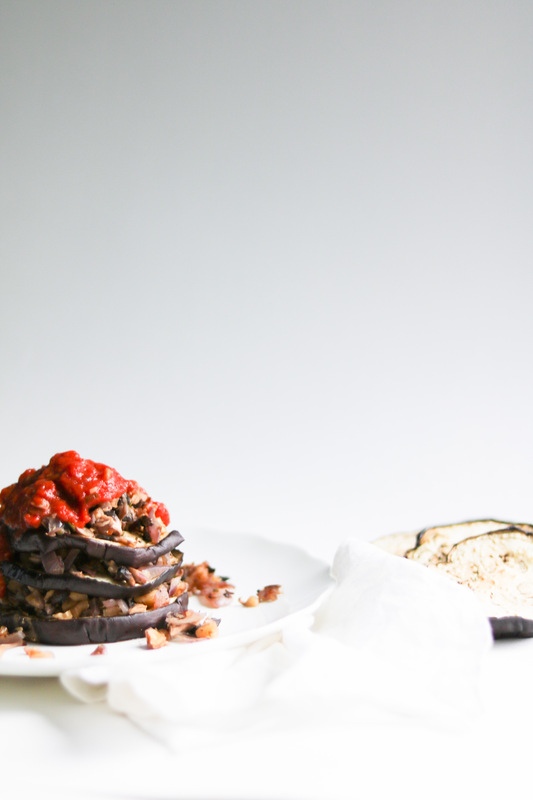 I love this walnut and mushroom eggplant lasagna as it tastes just like a lasagna but is carb free! Here is my tasty recipe of walnut and mushroom eggplant lasagna. Using a knife, slice the eggplant to obtain 5mm thick round slice. On an oven tray, lined with parchment paper, spread evenly the eggplant slices, making sure they don’t overlap. Brush with olive oil and season with salt and pepper. Bake in the center of the oven for 20 to 25 minutes, flipping them halfway through. In the meantime, in a large skillet over medium heat, add all the ingredients “FOR THE FILLING”. Cook for 5 to 10 minutes, or until the mushrooms and the onions are golden brown. Stir frequently. Warm up the tomato sauce, following the package instructions. When the eggplants are cooked, you can prep the plates. 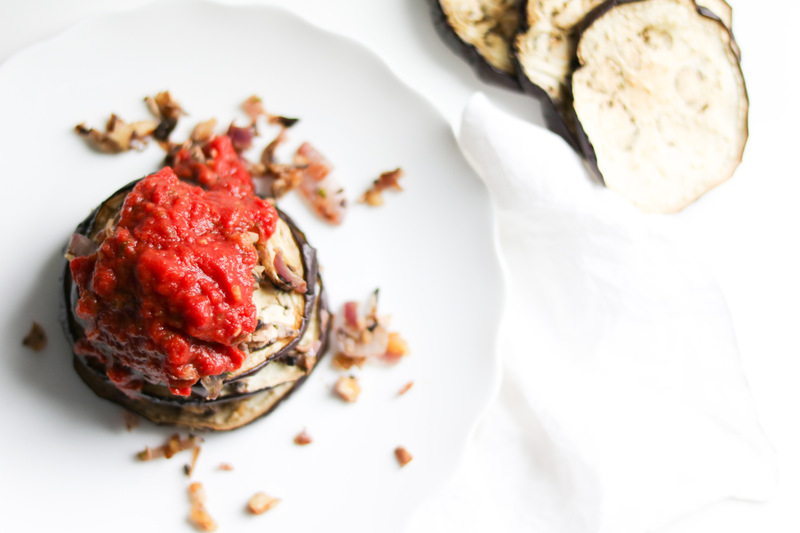 Add one slice of eggplant, then add a little bit of the filling. Repeat these 2 steps until your lasagna is 3-level high. Cover with your favorite tomato sauce and enjoy warm!